Every day it seems there is a new Apple rumour to try and decipher and last week was no different. There was talk that Apple was going to begin using a custom made screw that would stop people from modding their iPhones. The community at large was unhappy with this notion and those who like to pounce on anything negative to come out of cupertino had a field day. But there was a problem. The whole thing was an elaborate hoax by a Swedish company called Day 4. One afternoon we sketched out a screw in our 3D program, a very strange screw where the head was neither a star, tracks, pentalobe or whatever, but a unique form, also very impractical. 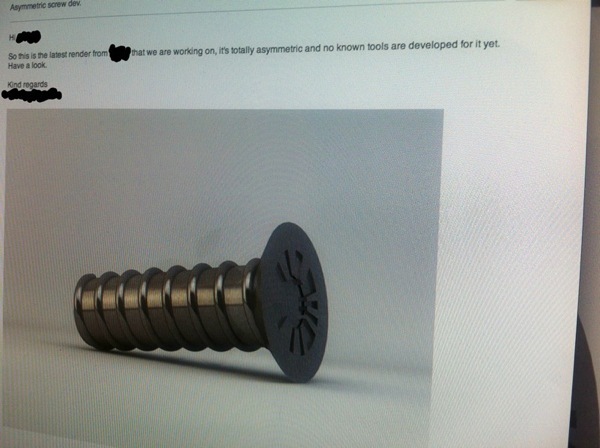 We rendered the image, put it in an email, sent it to ourselves, took a picture of the screen with the mail and anonymously uploaded the image to the forum Reddit with the text ”A friend took a photo a while ago at that fruit company, they are obviously even creating their own screws ”. Several sites picked up on this and ran stories with it. 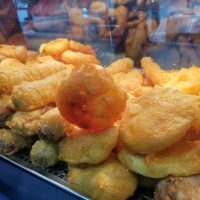 The blog post is an interesting read, it certainly proves that not everything you read is accurate, especially when it comes to Apple rumours, which have a tendency to spread fast and far.